Did you know? The young George IV liked to go dancing until 4 a.m. Brighton is home to the UK's oldest electric railway. There are nearly 1,400 premises licensed to sell alcohol in Brighton and Hove. Brighton and Hove welcomes 8 million visitors annually and has been voted one of the top five cities that tourists want to visit during their stay in the UK. 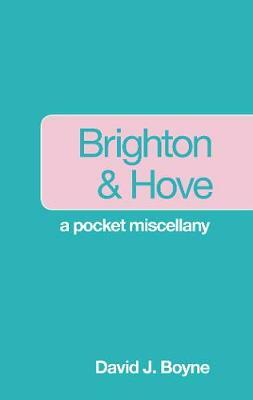 This engaging little book is packed full of insider knowledge, facts, figures and the secrets of the vibrant city of Brighton and Hove: diversity, culture, the arts, history, comedy and creativity in bucket-and-spade-loads.